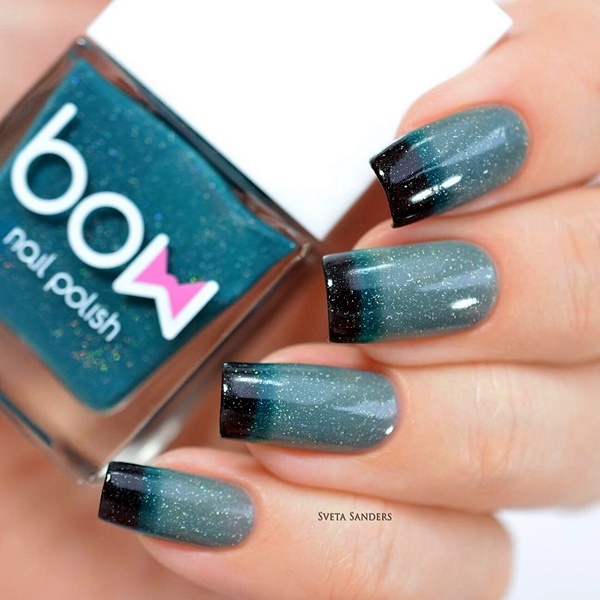 Are you excited to try new colors and trends for the upcoming fall season? Friends! Yes, winter is that time of the year when you’re ready to bear the crisp temperatures and incorporate cozy sweaters in your wardrobe. 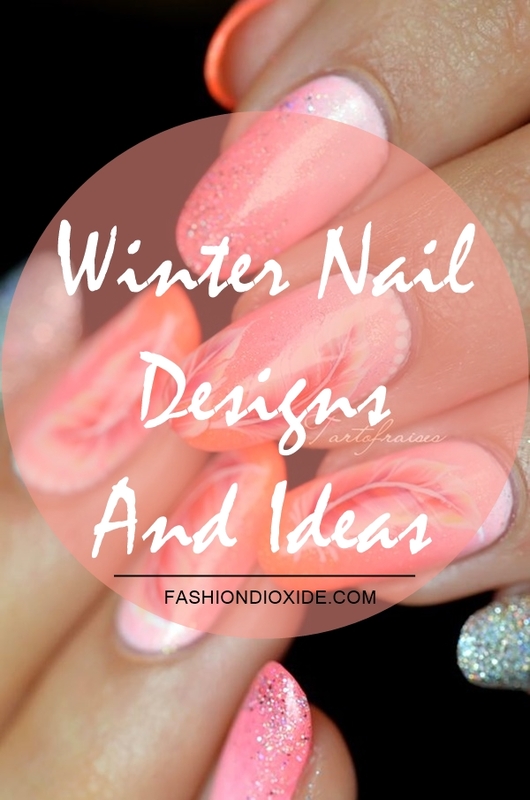 If you’re confused to make a fine judgment about the best winter nail designs and ideas that will get you extra attention, then you are heading towards the right direction! 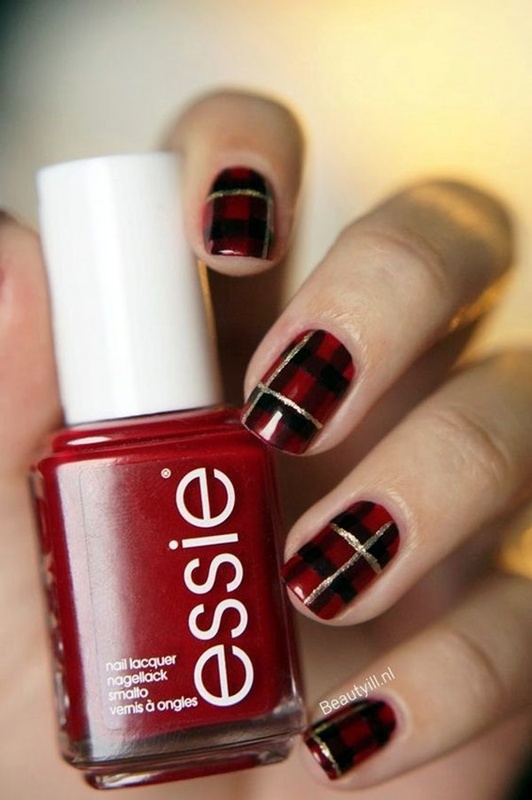 Here, we present 8 cool and edgy nail polish designs that will surely get you excited for fall..! After all, what girls want? 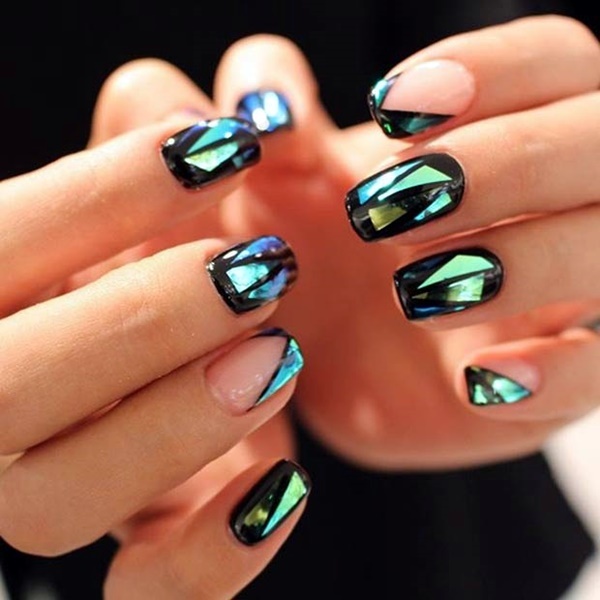 They want their nails to look flawlessly beautiful. 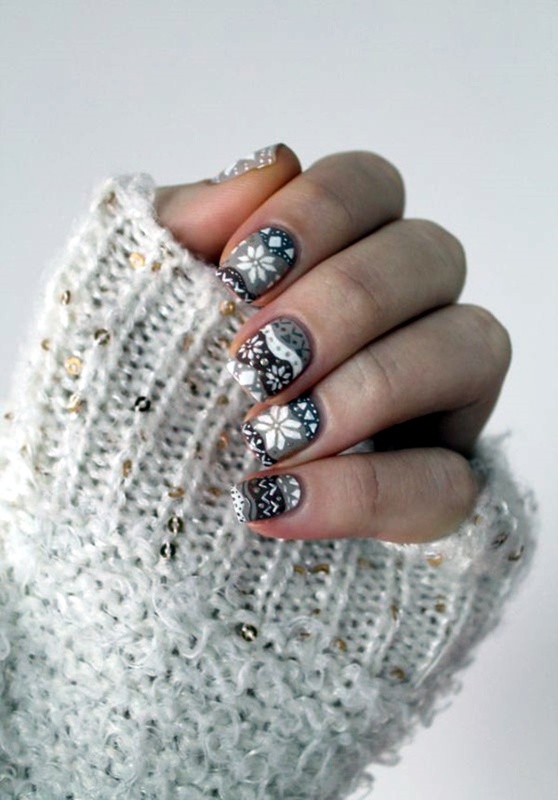 Don’t you think it’s a great idea to light up your nails with shimmer details, silver tips and gold flecks this year? Hurray! Christmas is arriving and so do the happiness is returning. 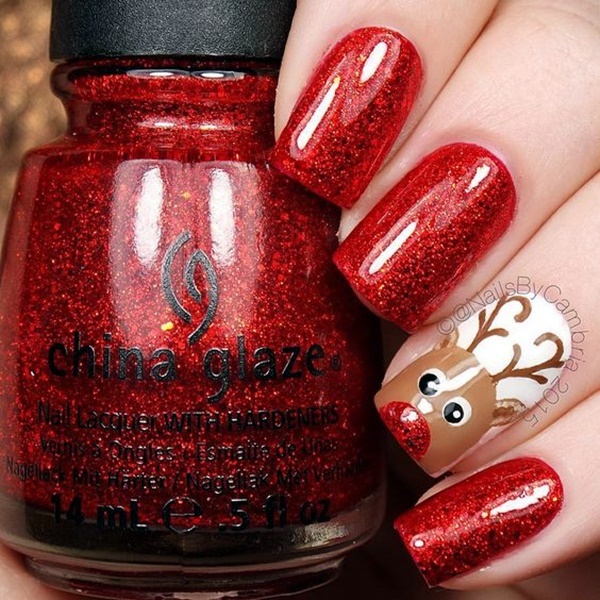 So here are Easy Christmas Nail Art Designs and Ideas just like all the time. 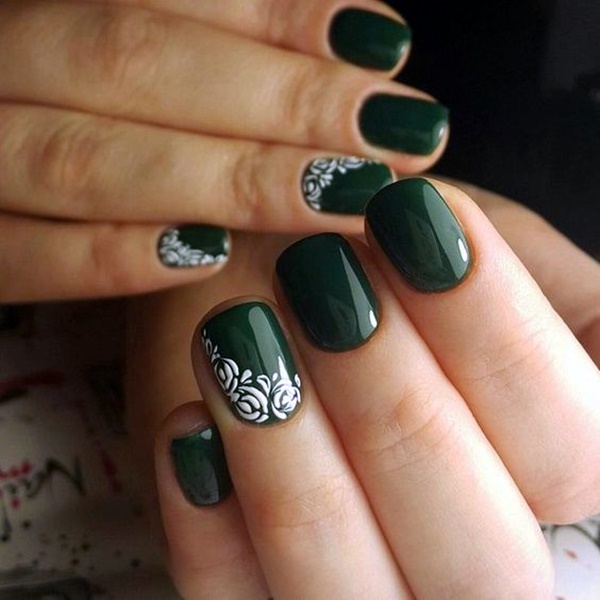 If yes, try out these beautiful winter nail designs to wear something fashionable this fall season and…let others be jealous..! What you say…hmm? 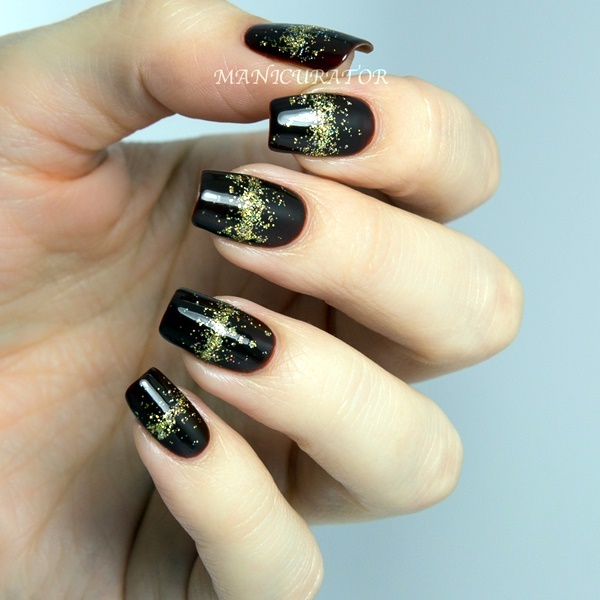 Cracked Metallic Winter Nail Design! 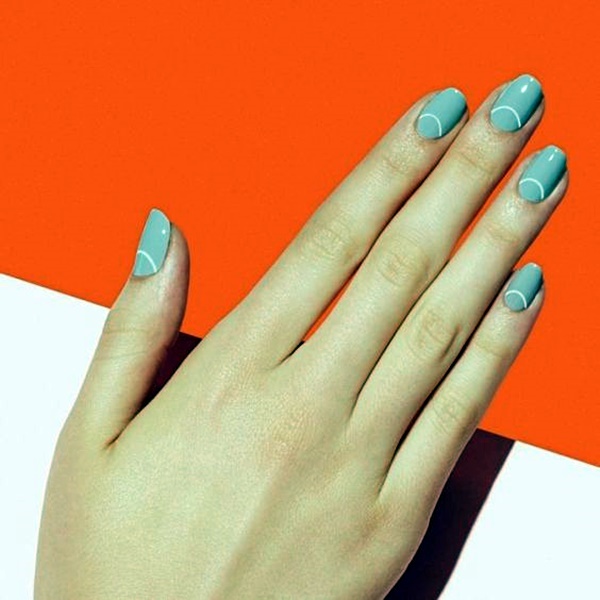 Do you prefer simple nail look at work, but still appears to be trendy and stylish? 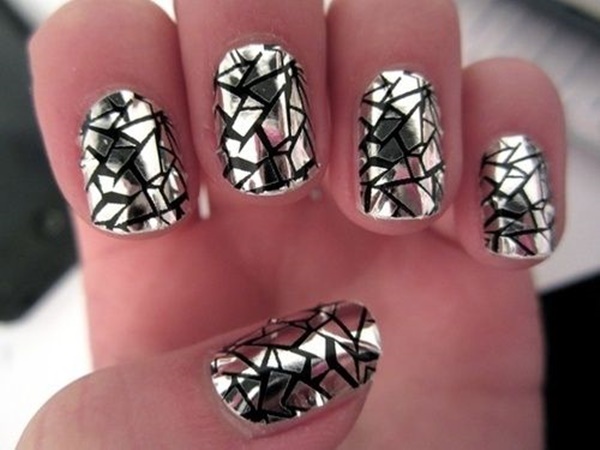 Cracked metallic pattern is an extremely cool nail idea where you get a chance to try something new and quicker than any other simple design. 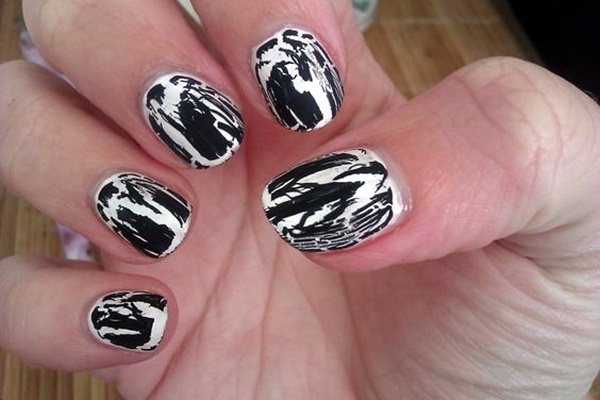 You just need to combine your simple black nail polish with a coat of a glaze crackle metal nail paint to complete the design. Isn’t it mind-blowing!! 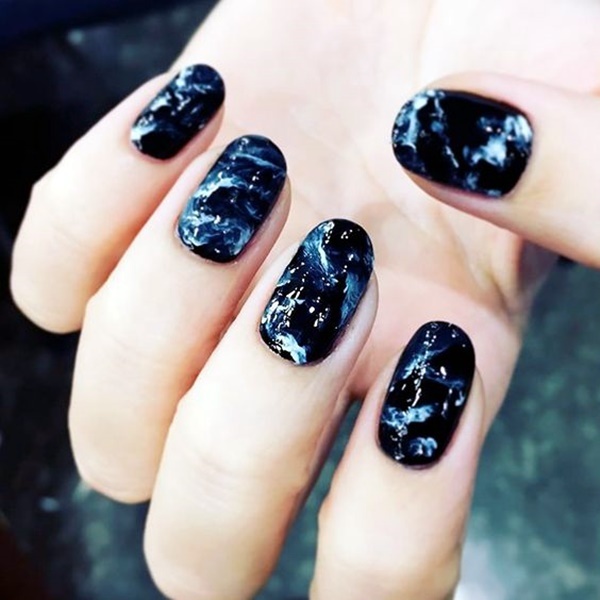 Marble nails act as one of the most popular winter nail designs and ideas 2016-2017. So, Gals! 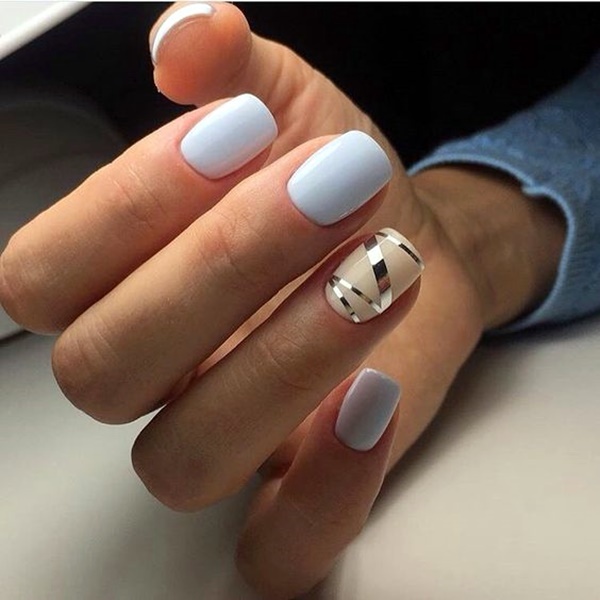 Add warmth to your nails this winter by painting it with violet and sky blue polish for a marble look. Don’t you think? 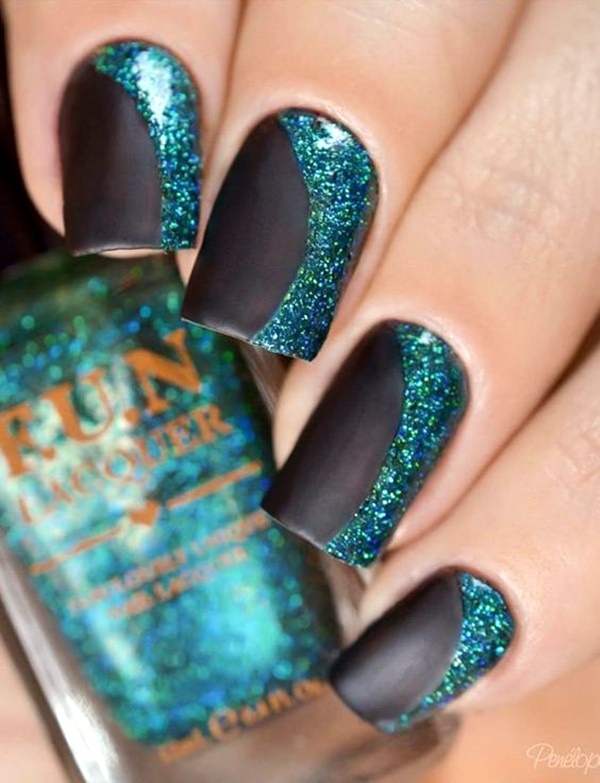 Sprinkling glitter on top for effect is a superb choice. 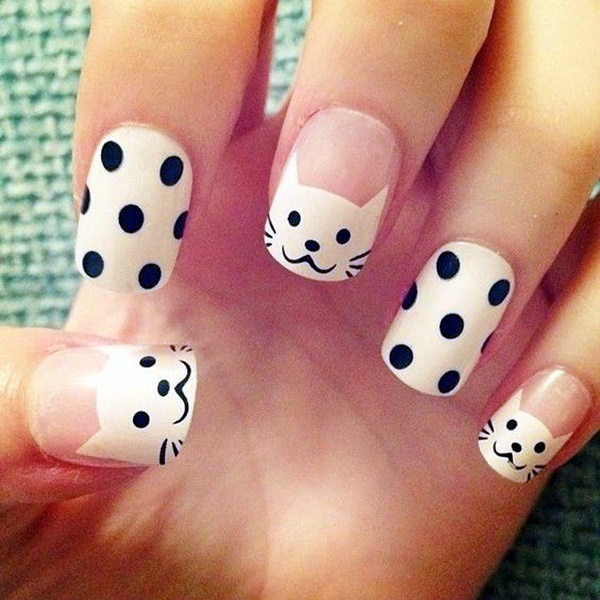 After trying this design, you can’t resist yourself from showing it to people present around you…yes! 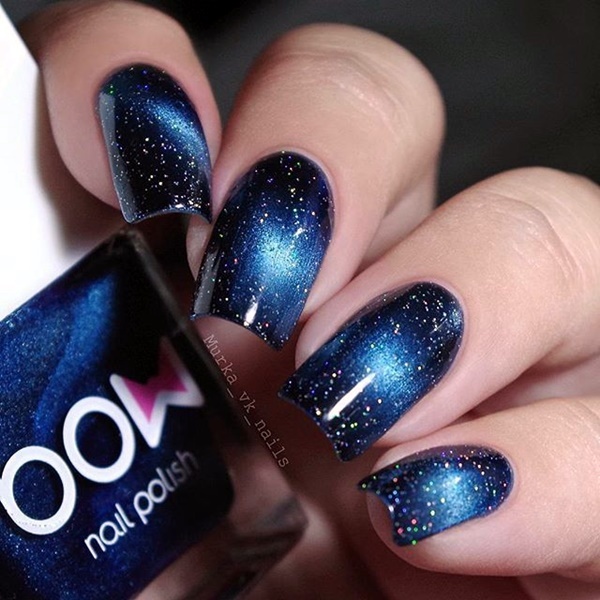 You just need to unleash bright colors on your nails such as – paint matte silver polish as base and splash it with neon colored sequins and few glitters on top for extra pop! 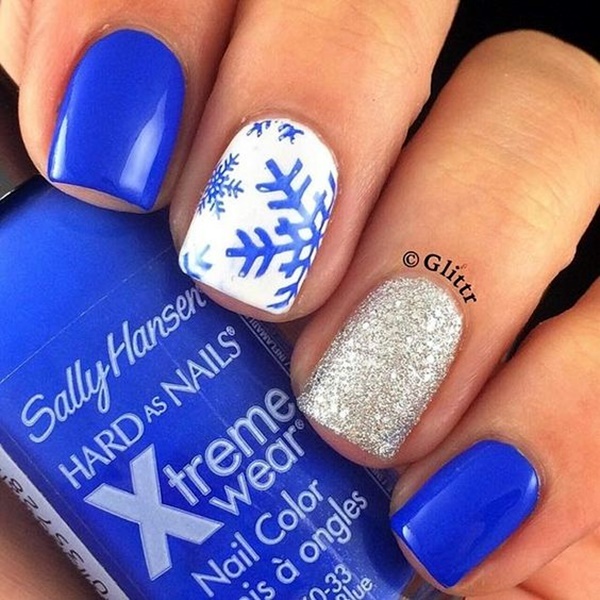 Perfect winter nail design! 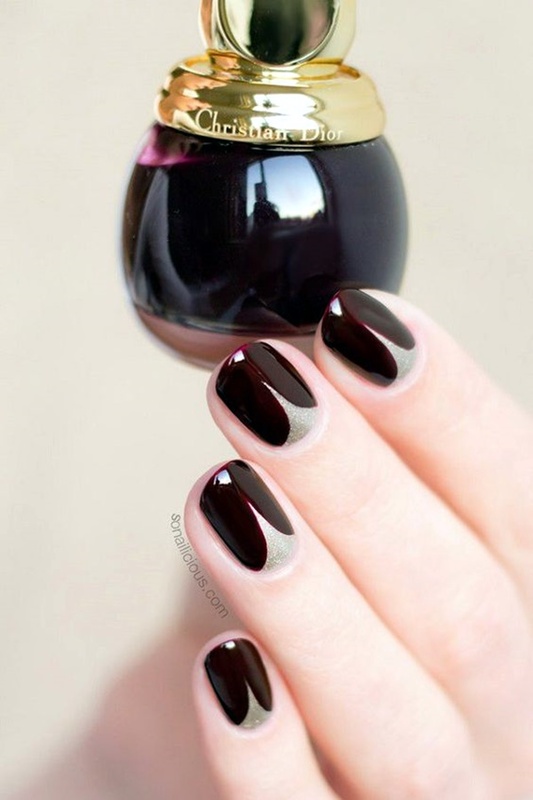 Make your nails stand out this festive season by painting bronze color on your long nails. 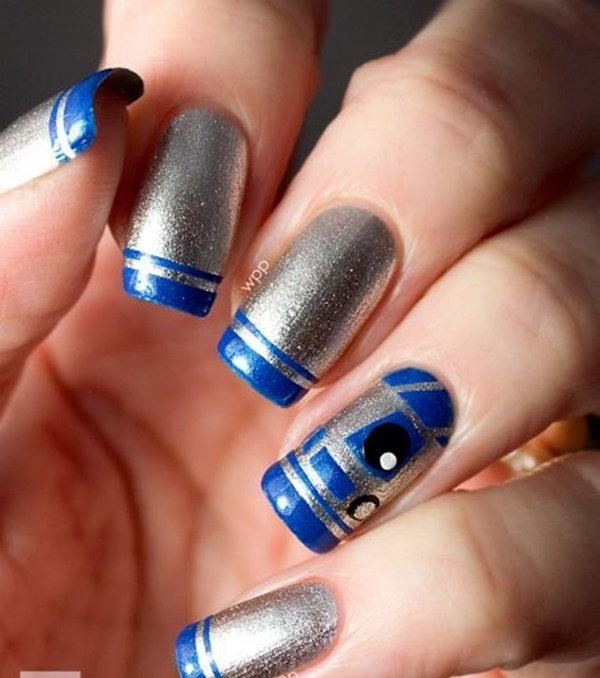 Nail art has become a popular trend now which means you have no shortage of gorgeous designs on your fingertips. 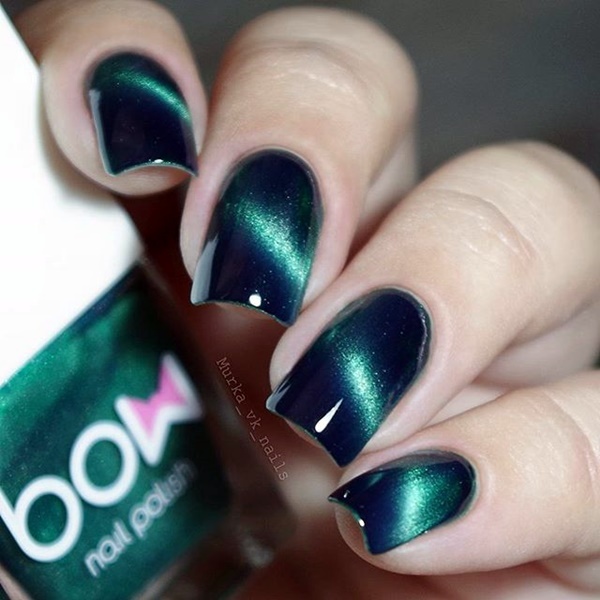 Well, adding loads of glitter and colors which look like jewel seem to be really appropriate for party like atmosphere in winters. 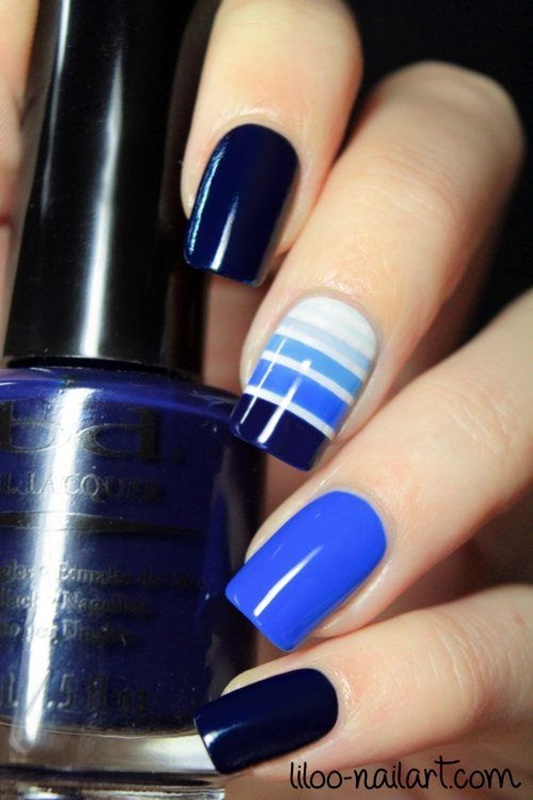 It’s among chic looking winter nail designs and ideas. 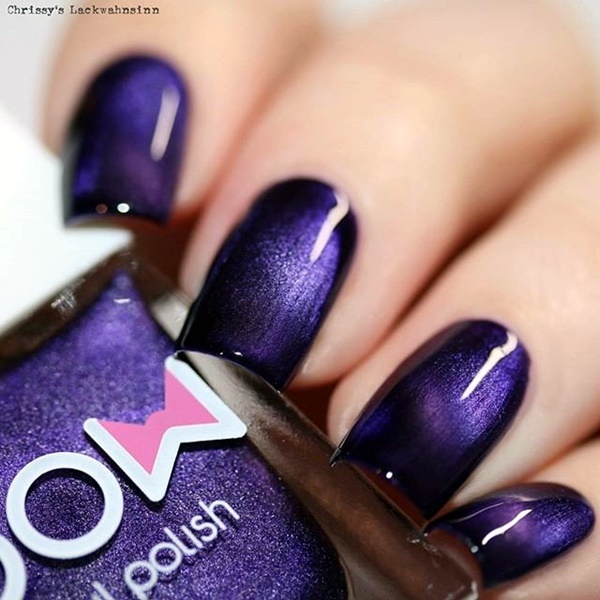 Sometimes a touch of sparkle can make a difference! 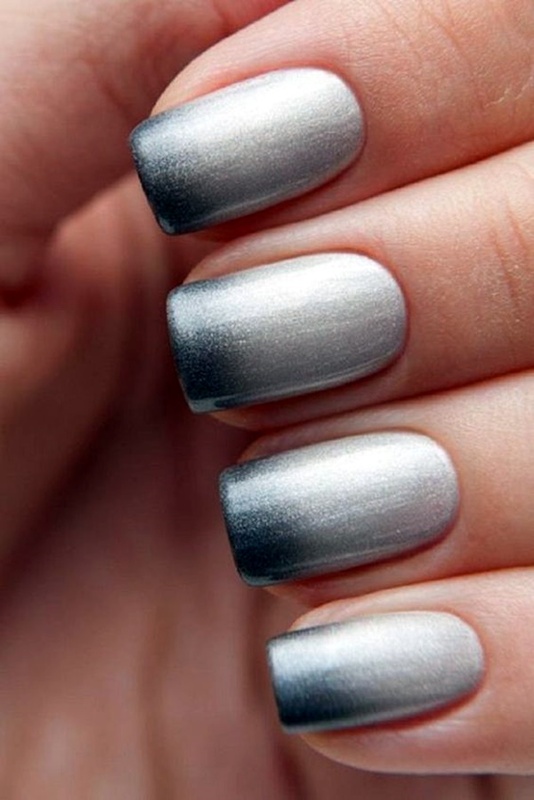 Start by painting a thin coat of the chrome nail paint at the tip of your nails complementing with the gray shade on the left over nails. 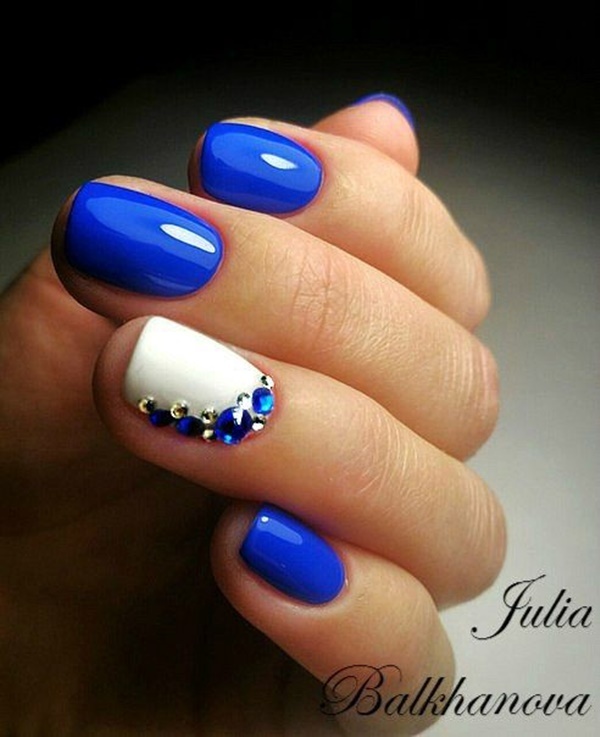 You can add sparkle for an extra touch! 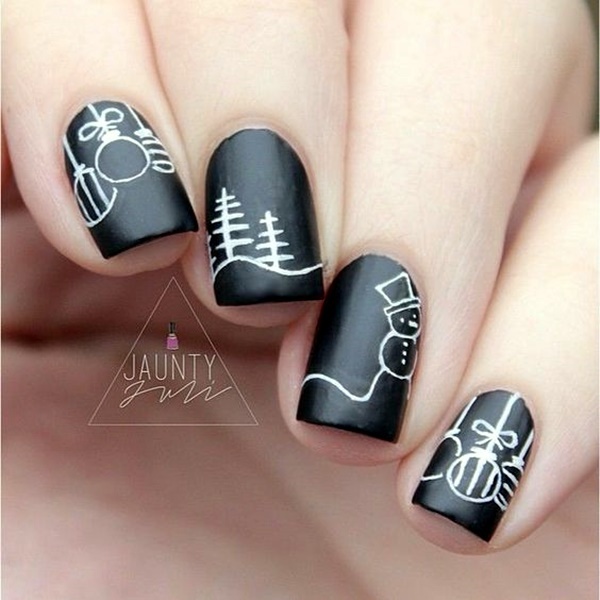 Well, everyone knows – when it’s the question of choosing cute winter nail designs and ideas, white and black are great combination! Have you ever wondered what could be the reason? It’s simple; the colors speak about your classic statement as well as simple beauty. 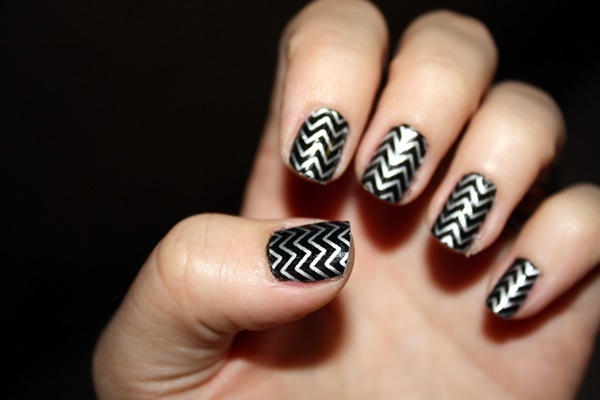 Adding black and white triangles creates a unique and playful spin on monochromatic nails. 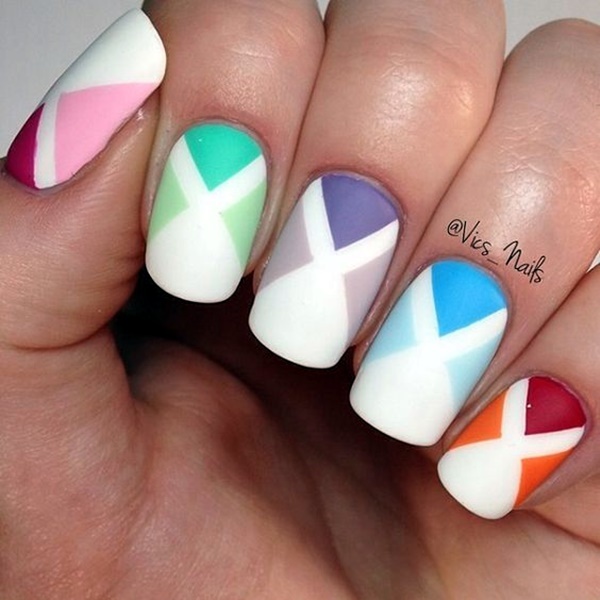 Isn’t this a fabulous idea? Ladies! 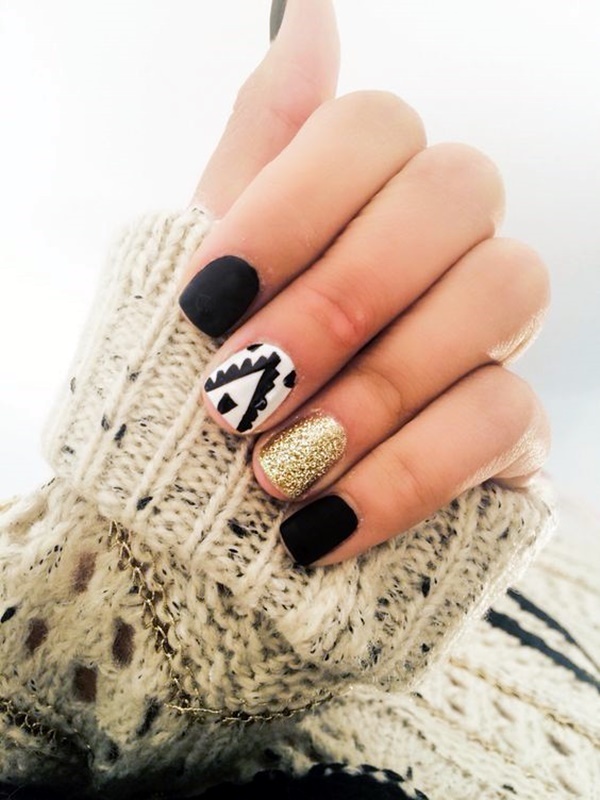 The Gold and Beads Winter Nail Art! 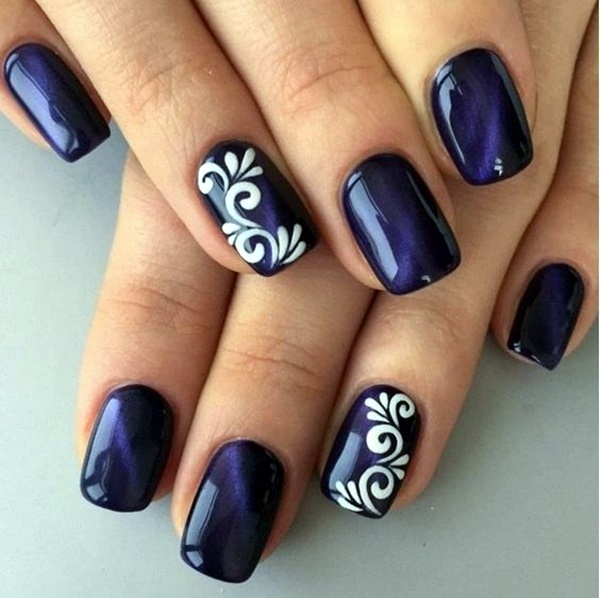 Are you planning to go for edgy design on your nails? Hurray! 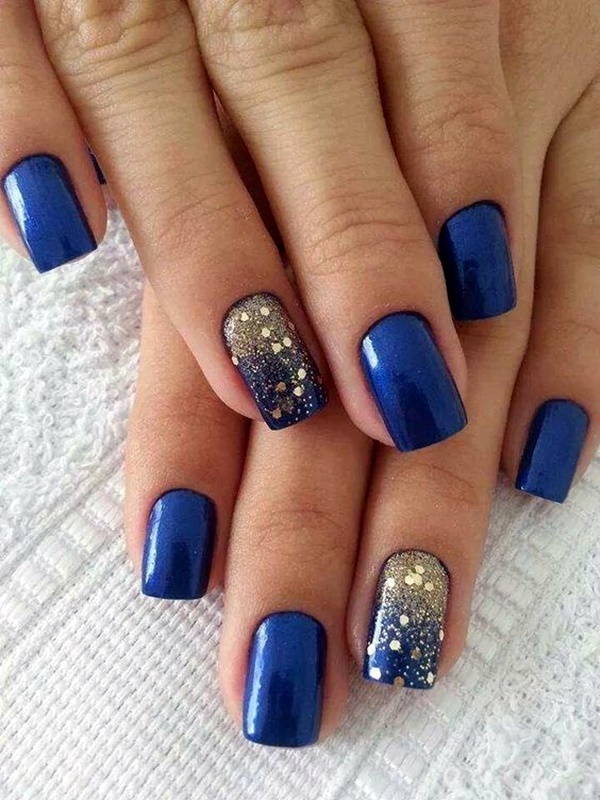 Gold nail art is perfect for the upcoming Christmas season as it not only gives warmth to your nails but look great when paired with beads and colorful embellishments! 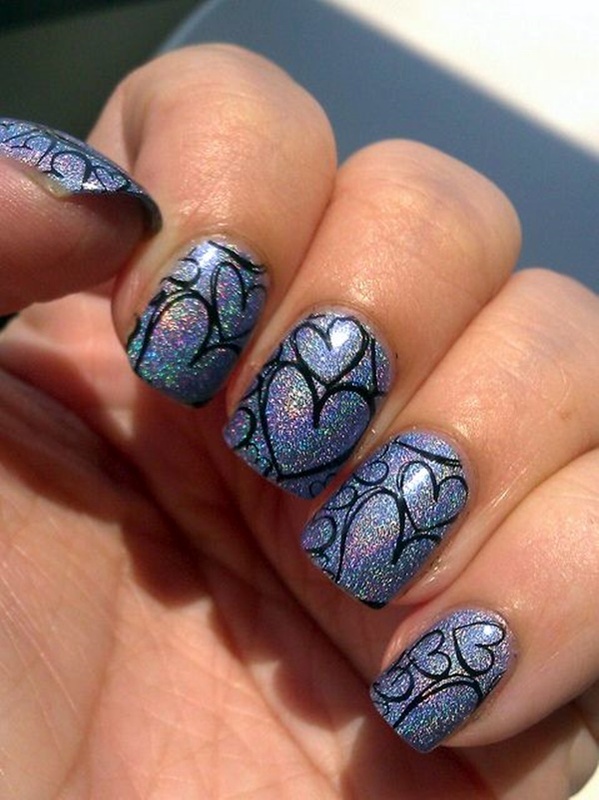 Take a look at these sparkly patterns and get ready for the best New Year’s Eve party ever! If you aren’t sure that the gold hue will look cool on you….Don’t worry, it’s easy to remove! 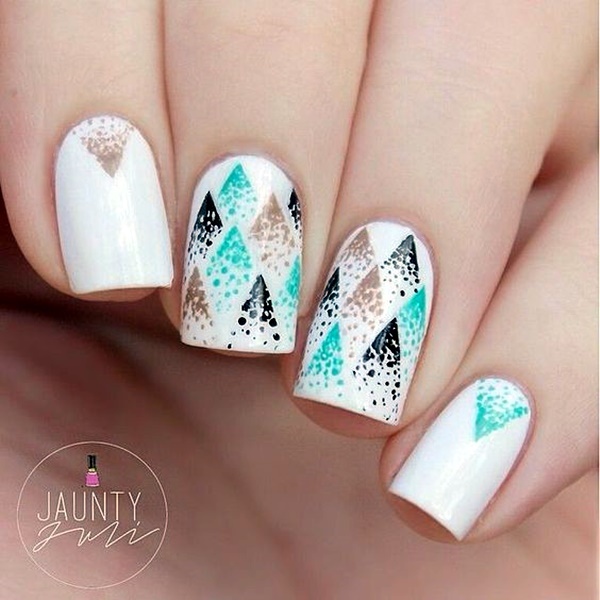 Pretty winter nail art design, isn’t it! 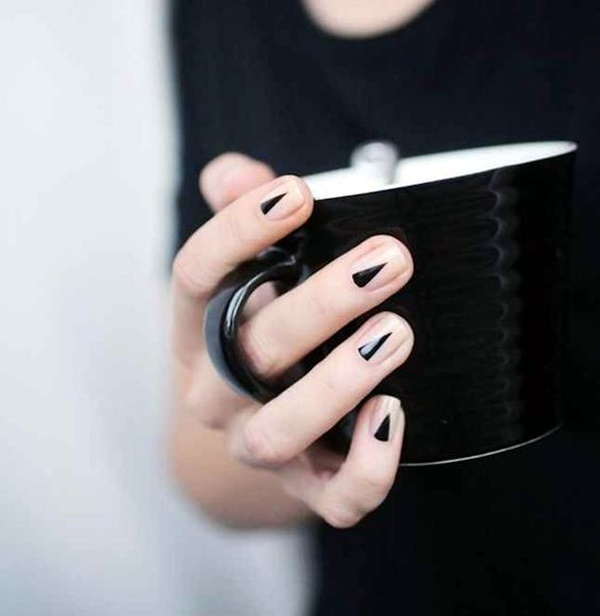 Try this monochromatic look by painting your half moon black, then adding a cool touch of white to one side of the nail. Gals, you can use this design to bring a note of cheer into your dull and boring days…yeah. 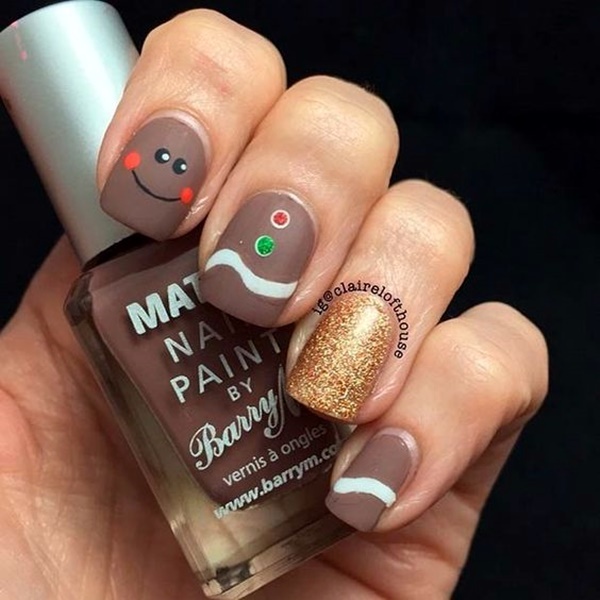 It’s correct to say at the end that winter nail designs and ideas are huge in number which can inspire you to create amazing nail design! So, watch it, you make the right choice…Okay!